Offering engraved logos is a way for business donors to show their support for your project and advertise their business. 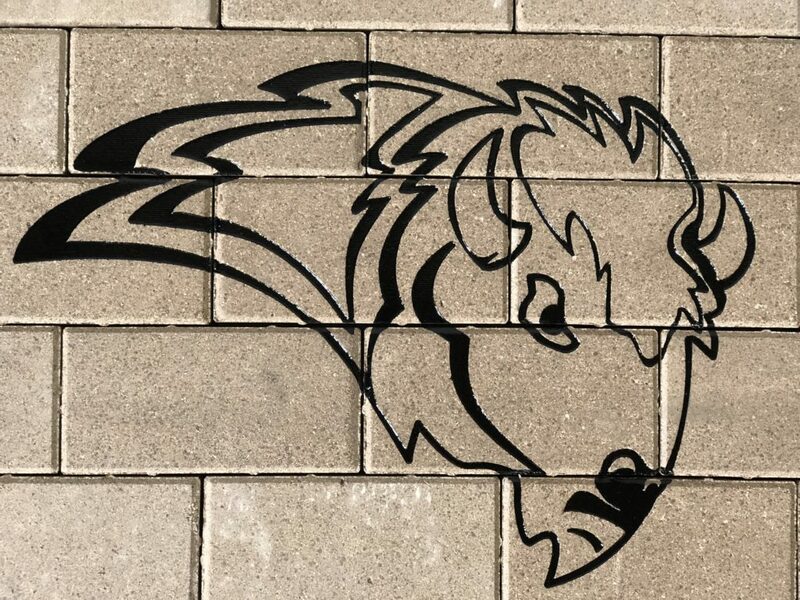 Logos can be engraved on individual bricks or span several for a larger scale image. Contact us today to see how this can enhance your fundraising campaign. Engraved logos on 8×8 red clay bricks. 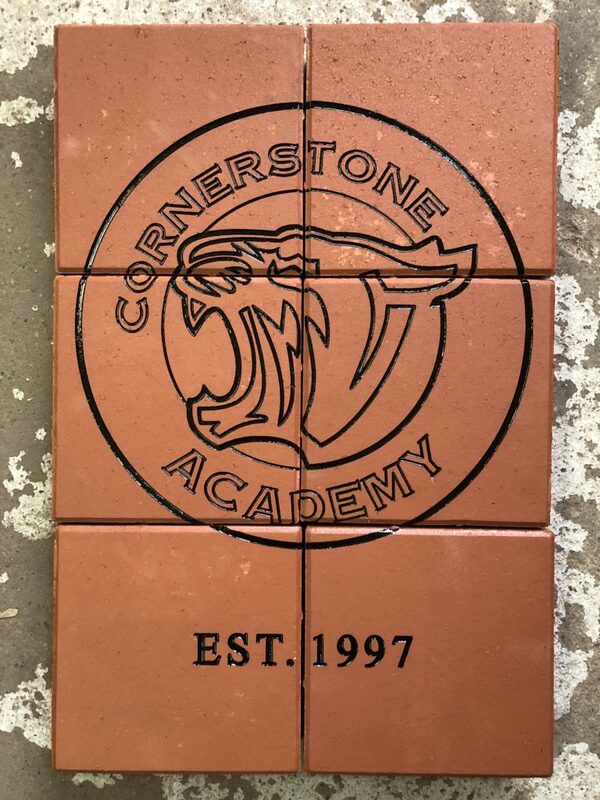 School logo engraved on multiple 4×8 bricks in a running bond pattern. School logo engraved on multiple 8×8 bricks. 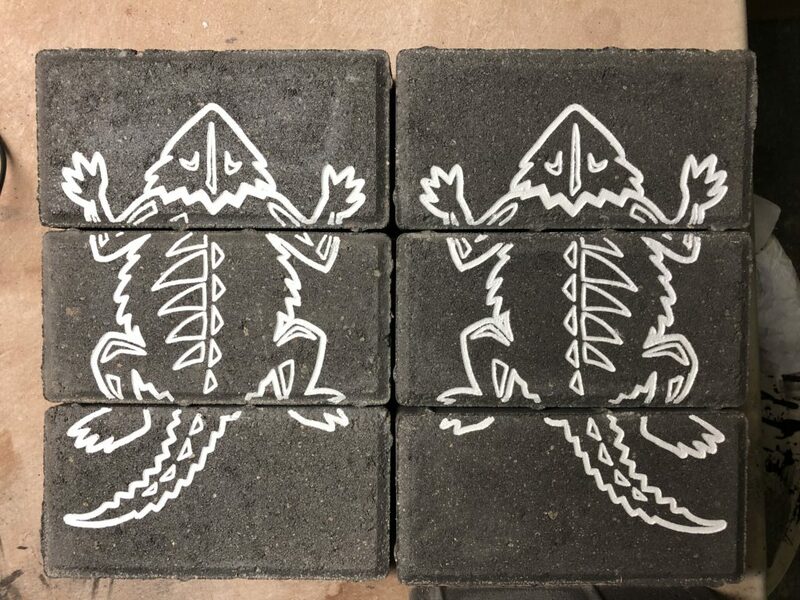 School logos engraved on multiple 4×8 bricks. 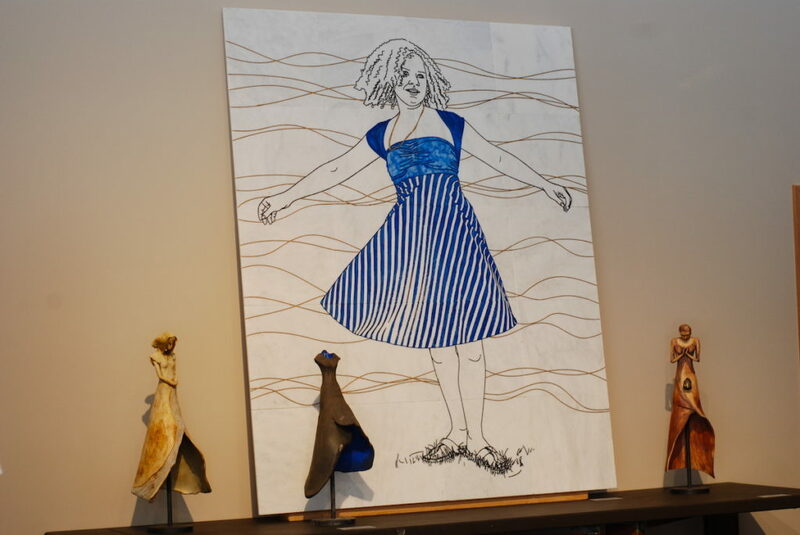 Engraved art images can really make a statement. They can be designed for wall or ground installation. 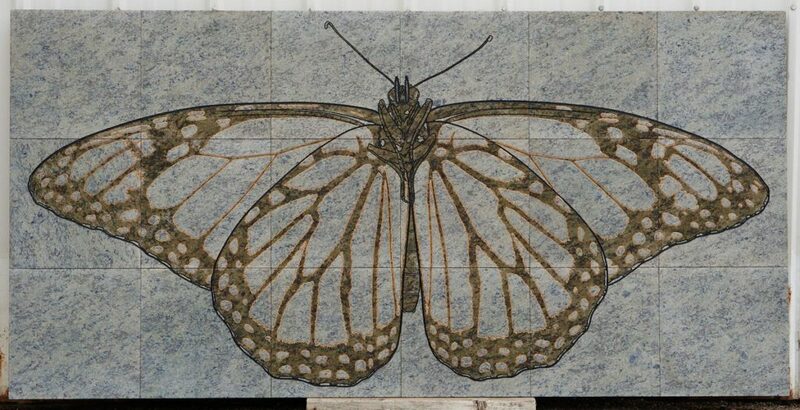 Monarch butterfly engraved on 18 pieces of green granite. Hand painted and stained. Dancer engraved on 20 pieces of cream marble. Hand painted. 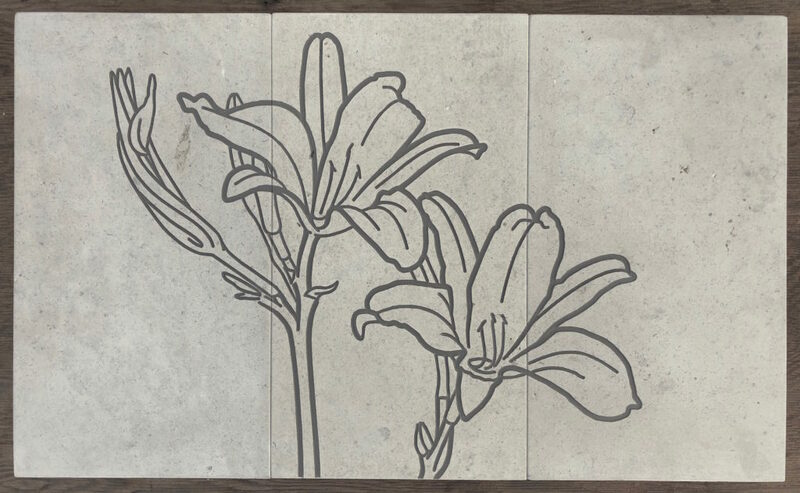 Lilies engraved on 3 pieces of limestone. Hand painted.